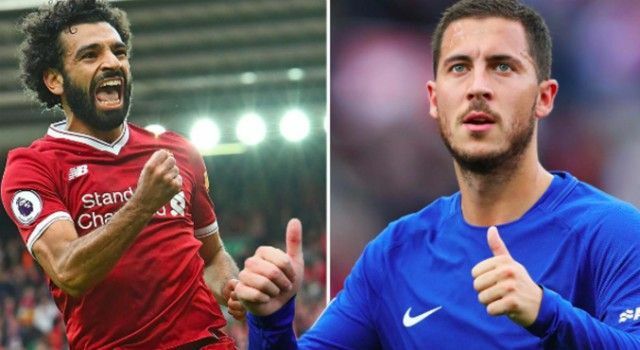 Both Eden Hazard and Mohamed Salah have established themselves as world-class players, but picking one out of the Chelsea and Liverpool stars is easy for Graeme Souness. Salah is coming off the back of a season in which he bagged 44 goals and 16 assists in 52 games in his first year with Liverpool, although ultimately it didn’t result in trophies for the Merseyside giants. Meanwhile, Hazard has been an influential figure for Chelsea for several seasons now and has collected two Premier League titles along the way. In fairness to Sky Sports pundit and former Reds player and boss Souness, his point on consistency is a fair one as perhaps Salah will become the obvious choice if he replicates his form this season. Nevertheless, picking Hazard, stating that he believes he’s better than Neymar and could emerge as the best player in Europe this season by hitting the 40-goal target set by his boss Maurizio Sarri, it’s certainly an article that is going to get people talking. There is no denying how talented Hazard is and he remains a pivotal part of Chelsea’s push for major honours as he has started the season well with five goals and two assists in five games. As he now enters the peak years of his career though, he will want to push on and not only take the Blues back to the top of the tree domestically, but also landing a Champions League trophy will surely be a serious objective of his too to really make his case to be regarded as the best player in Europe. As seen in the video below, Sarri has already suggested that his talisman is the best player in Europe, but there is some way to go before that is widely accepted by others. Nevertheless, he seems ready to flourish in his system and more expansive style of play. Souness believes that the 27-year-old is on the way to doing it and would have him in his side over Salah for now who seemingly has to prove himself again this year to prove he isn’t a one-season wonder on Merseyside. Better than Messi & Ronaldo? ?